Jeff Raff has written about the ally (which has been called many different names in different traditions) in his books Jung and the Alchemical Imagination, Healing the Wounded God, and The Wedding of Sophia. Here, he shares with readers the techniques he has developed and taught in his workshops and lectures for achieving intimate contact with the divine. The ally is a divine being, a face of God, that is unique to every being. It appears in the imaginal realm to partner with a specific person; but it has to wait for its human partner to seek it. 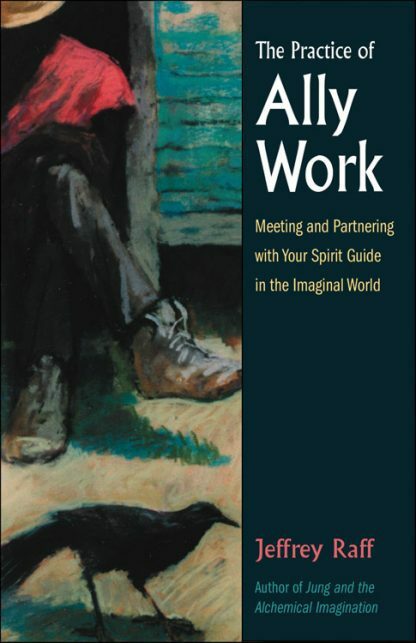 The person has to learn how to enter the imaginal realm to meet and relate with the ally, and to that effect, Raff has designed a progressive series of exercises. Starting with imagination-building practices, he takes you through learning how to identify your ally, learning its name, and obtaining guidance from it. Intermediate and advanced exercises teach you how to deepen your relationship with the ally and bring it into everyday life. A relationship with your ally is a two-way street in that your attention to its existence in the imaginal realm makes it manifest in the material world, while the ally helps you achieve self-realization and gnosis in the literal sense of the word.